Home / Design and Build / Tile Trends You Will Love! Tile is coming up in the world…. up the wall, that is! Say hello to accent walls crafted from exquisite tile in a myriad of colors, textures, and patterns. An accent wall can transform any ordinary wall into your home’s most unique feature. Tile on the walls is one of the hottest trends for 2017 and beyond since its resilience will keep your bedroom, kitchen or anywhere in your home looking fabulous for years to come. Wall tile is a popular surface material because of its durability, sustainability, resistance to stains and scratches, and low maintenance. Because it is available in a wide range of colors, textures, and patterns and can mimic the look of stone, wood, and other natural elements, it can coordinate with the decor of any space. Our team of designers at DiStenfano Brothers Construction will help you find the tile trend that will suit your style and your home. Being creative with an accent wall allows you to put your personal stamp on your home and express your unique style. When choosing where to place an accent wall, you should decide where you would like to display a distinct focal point. In a bedroom, for example, across from the entry door is the typical position for the bed making wall tile ideal as a magnificent head board. Or, in the living room with a fireplace as the central feature, create an accent wall surrounding the fireplace. Glass mosaic tile will glisten in the firelight and showcase the welcoming hearth. 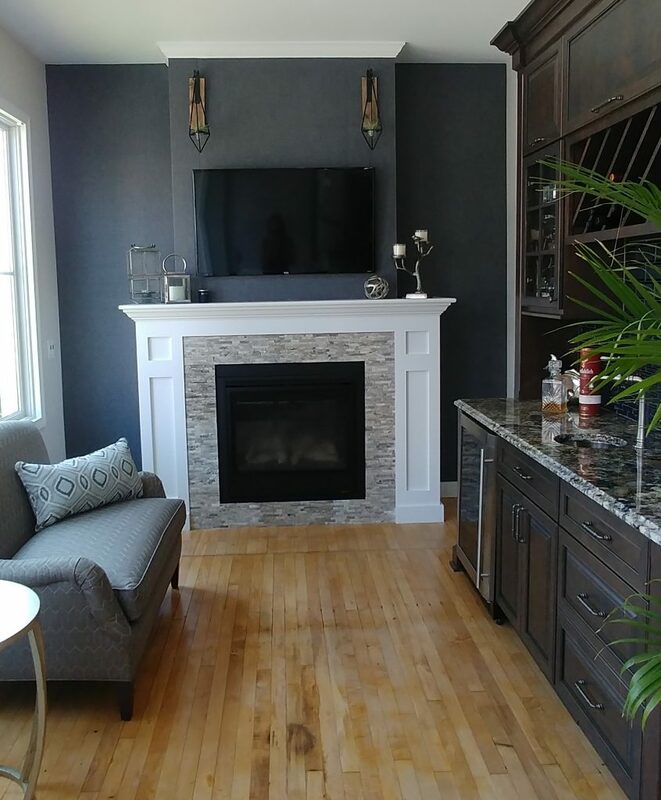 Natural stone slabs, a wood-look product, or textured ceramic will compliment a modern, free-standing fireplace and glazed porcelain or a linear stone product works well with a more traditional rustic fireplace. There are endless walls, large or small spaces, where a tile accent wall would enhance the beauty of your home. A tile accent wall will always stand out, so blending it into your home’s existing color scheme works well. This ensures that the focal point melds with its surroundings. To add dimension to the color scheme, choose a wall tile a bit darker and richer in color than the room’s other features. Or add metallic details or striations in the tile in the same hue or contrasting shades. 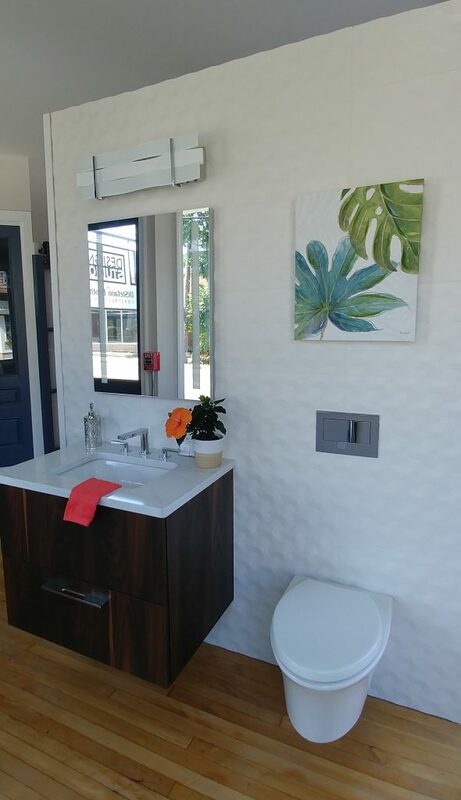 Instead of blending into the existing color scheme, another option is to allow the wall of tile to dictate the entire color palette of the room. This allows you to choose a tile that appeals to you and use it as inspiration when decorating your space. Tiles have been given new textures to enhance tactile experience as well as give depth and design to walls. 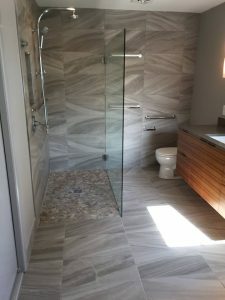 Tile comes in an assortment of textures such as oxidized and rusted metal; wood-look planks; natural stone; linen, tweed, tartan and chevron fabrics; high-shine metallic; gun metal and pewter finishes; marble; bluestone; and glass. 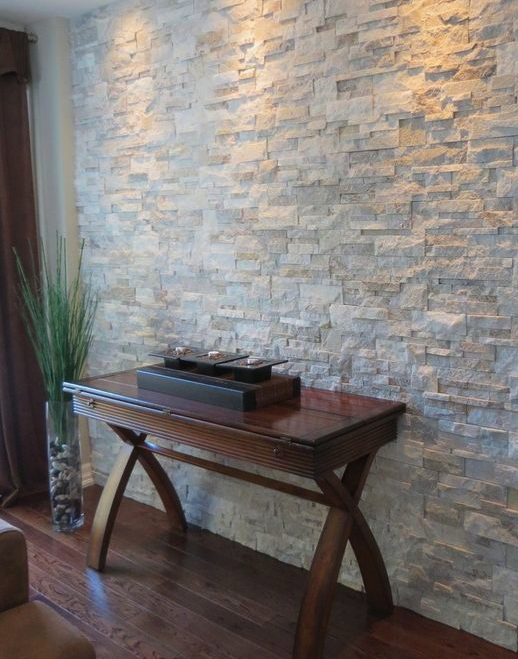 It is important, when choosing your feature wall’s texture, to consider its surrounding pieces. If, for example, the feature wall is located behind a smooth leather sofa, rugged stone tile would enhance the look and textural design of the space. Or, a fabric textured tile such as tweed or linen works to soften the look. The pattern of the accent wall is equal in importance to the color and texture because it secures the overall theme of the space. In a contemporary, modern, or urban dwelling, clean lines such as those of linear or plank tiles with narrow grout lines give a streamlined effect. A Southwestern-style home would appreciate an Aztec pattern to give an Old West vibe. 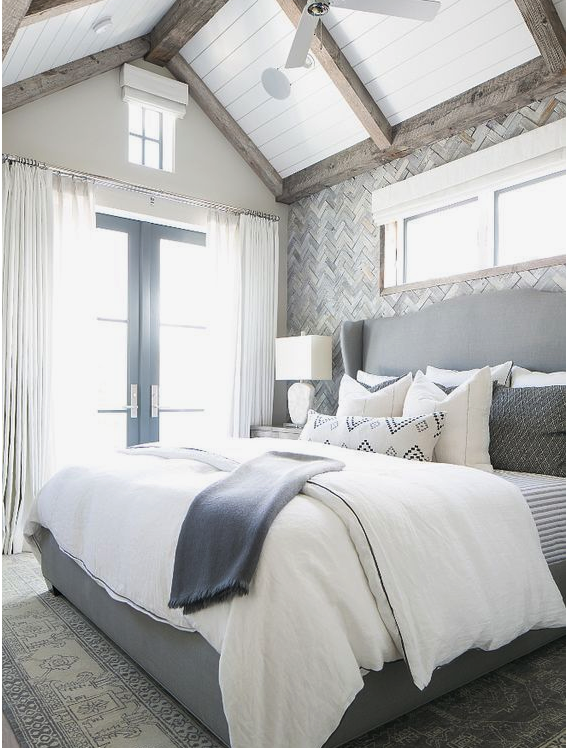 A cottage or shabby-chic style home design lends itself to diamond, herringbone, or basket-weave patterns in a pale or neutral color combination. Tile patterning on the wall, whether horizontal, vertical, chevron, herringbone, or hexagonal, combined with the color and texture of your choosing, create a beautiful and lasting tile wall focal point in your home. The kitchen and bath have always had wall tile, but now is the time to bring this stunning choice to other areas of your home. With hundreds of color choices, texture options, and pattern designs, expanding wall tile to other areas of the home is fast becoming the hottest trend of 2017. 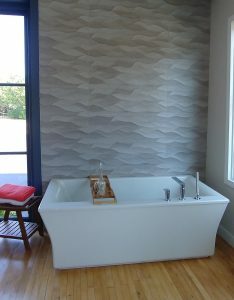 In this, the year of the wall tile, choose a spot in your home for a timeless accent wall and let your creativity flow! Call today and let the experts at DiStefano Brothers Construction make your vision a reality! Previous Bristol’s Papa Joe’s Wrap Shack is Deliciously Fun! Next Wakefield Endless Summer…What You Need to Know!